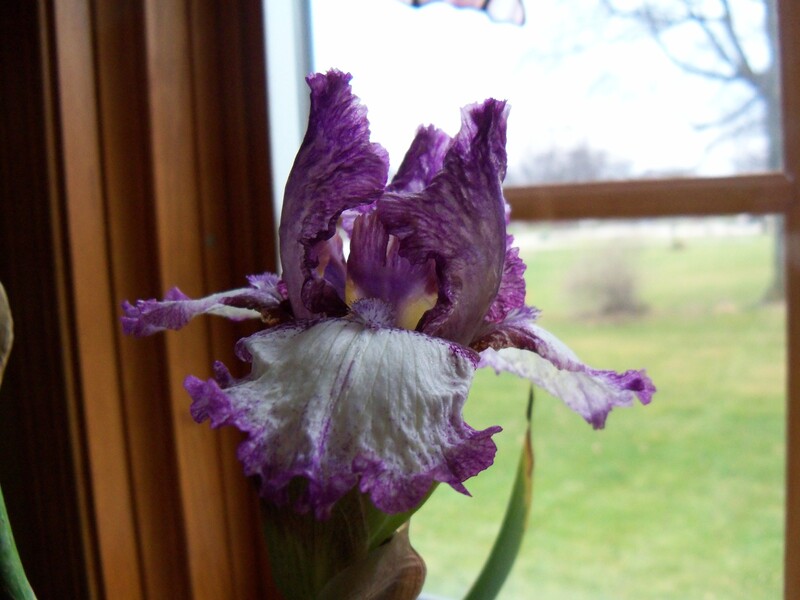 With our cold weather coming, two irises each had two stalks up and no blooms open or opening. A stalk from each was cut on November 19th and put inside in water. Finally on November 30th the one opened. ‘Mariposa Autumn’ is TB by Tasco (1999) which is listed as a rebloomer. Ours was planted 4 years ago and as far as I know has not rebloomed before. Does this count as reblooming?